Are you currently overwhelmed with mundane tasks that consume your valued time and that you could very well entrust to somebody else? Well, my objective is to free your precious...Read moreAre you currently overwhelmed with mundane tasks that consume your valued time and that you could very well entrust to somebody else? Well, my objective is to free your precious time, increase your productivity and reduce the stress in your life. I can provide you with extra support/service in accomplishing your jobs quickly thus obviating the need for you to access a wide variety of services to complete them. -- and anything that you don't have to be doing yourself. By delegating these jobs to me, you can focus on the truly important, high-leverage activities within your business that need your constant attention. The end result being that your business grows faster and easier. •	Proofread documents: It's always amazing what another set of eyes can find. I can review and edit for procedural and grammatical accuracy important emails, blog posts, articles, reports etc. •	Go paperless: Are your stack of papers (bills, invoices, receipts etc.) taking up space? Now you can have a digital backup just in case or have them tabulated via Excel. •	Track your personal or business finances: I can keep your files up to date in a program you may be currently using. Maintaining books of accounts is many business owner's least favorable activity - let me take that off your plate. •	Contact management /create a database: Chances are your business would profit significantly from a database of your national/international contacts culled from your visiting/business cards. I can help in creating a fully customized database that meets your needs. Turn a stack of business cards into a convenient, searchable online contact database using on line services such as Outlook Express, Salesforce, Google Contacts or Zoho. •	Maintain your calendar/schedule: In today’s stressful times many busy executives or business owners are hard pressed to maintain/coordinate appointments/meetings etc. I can help in doing this via Outlook Express, WWW Enterprise etc. •	Get timely reminders: I can send you reminders via text messages, emails etc for Birthdays, Anniversaries, Appointments, Meetings etc., that you need to remember or better still arrange to send a bouquet of flowers on your behalf to your friend to commemorate the event. •	Let me help your customers: I can answer the phone for you or reply your emails. I can forward important calls and emails to you and/or take detailed messages, screen out the unwanted distractions/interrupt ions so that you can focus on growing your business. I can provide the same great customer service to your customers that I will provide to you. Always professional, friendly and receptive. •	Online chat: I can answer your visitors’ questions and help them with your ordering process, if need be. A great service to offer by way of customer care. •	Travel planning: Whether it's business or pleasure, I can help you find the best price and take the headache out of your national/international travel planning, ticketing, booking of hotels, pickup/drop arrangements, travel insurance, visas, foreign exchange etc. •	Have me do research on the best prices for any substantial purchase you are about to make. •	Get estimates from contractors, vendors, and service shops: By taking over the legwork of comparison shopping and gathering price quotes, my virtual assistant service can pay for itself in money saved. •	Find out about anything: I can do in-depth research via Internet on any topic you need. •	Gift buying: Need gifts for your clients? Need an idea for your 12 year old niece? I will scour the Internet looking for what's popular and present you with a list of perfect gifts and URLs where you can buy them. Or, I can buy them for you, wrap them, and mail them. It's up to you how much you want me to do. •	Help organizing events: Organizing parties or any other meeting s of people can be a huge task made up of hundreds of smaller tasks. Let me do what I can to take some of the pressure off you and make sure your event is perfect. In coordination with you, I can take care of the tiny details, mail out your invitations, or call people for RSVPs etc. PS: I may add, I possess excellent verbal and written communication skills in English. 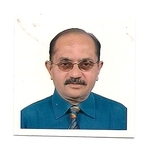 In this regard, in 1991 with the help of my Saudi sponsor I had successfully organized and attended a workshop designed for senior/middle management level executives on “Effective Business Writing” methods that was conducted by Ms. Bobby Dempsey of ‘The Communications Network’, Houston, Texas, U.S.A.. This informative course provided me with valuable inputs on the latest business writing techniques used worldwide. S.S.C.- 1963: Completed high school education from a reputed convent school (Ahmednagar, Maharashtra, India), hence possess excellent command over the English language. * 1995, Diploma Program in Computer Art by Edit Systems, Pune, India. * 1991, “Effective Business Writing” workshop by Bobby Dempsey, The Communications Network, Houston, Texas, U.S.A..